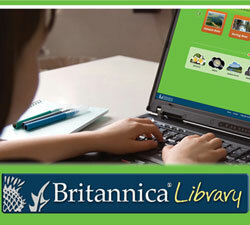 The Encyclopedia Britannica online with top quality information from this trusted source. Choose the age-appropriate level that works best for you to complete homework assignments, conduct research, or work on special projects. Content includes thousands of curated articles and magazines, images, videos, audio clips, primary sources, maps, research tools and recommended websites, along with a pop-up Merriam-Webster’s Dictionary and Thesaurus.